Miu Audio, a recent sponsor on HeadFi.org, offered some freebie kits on their HeadFi sponsor thread a few weeks ago. Of course I was happy to take them up on the generous offer, there are few things more enjoyable than dropping a few components on a PCB and cranking up the soldering iron. 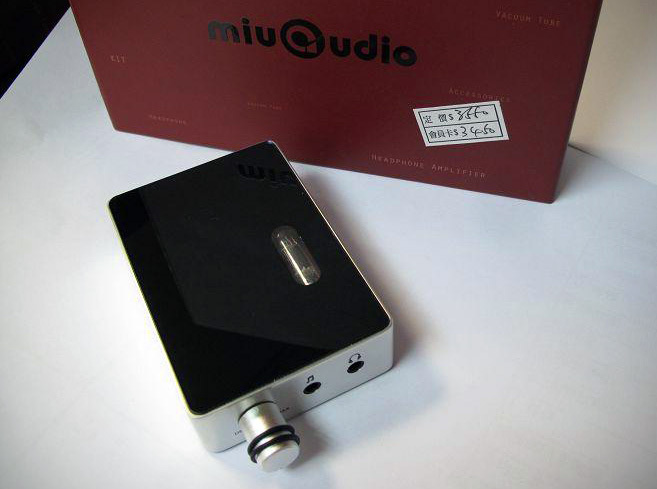 Miu Audio operates in Shatin, Hong Kong and has been producing gear since 2004. They've created a number of rather interesting looking CD players, as well as an impressive looking little portable tube headphone amplifier, speakers and other audio components. The kit I received was purportedly less exciting than the iH Tube Headphone amp, but still a very capable little machine. 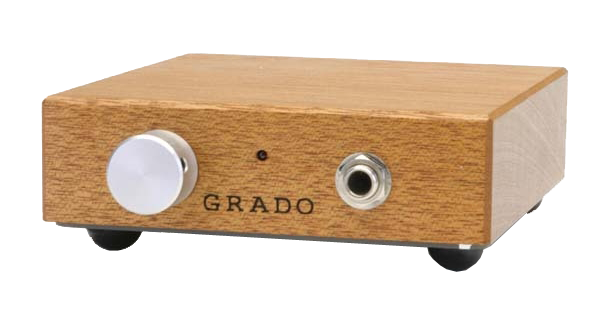 The board was noted to be the RA-1 v1.1, which leads me to believe the circuit would be similar to the famous RA-1, a cute little headphone amplifier housed in mahogany by Brooklyn's Grado Labs. Included in the kit was the circuit board and a number of parts in plastic bags, each labelled individually. It may have been nice for the labels to include additional information like capacitor voltage ratings, just in case a potential kit builder wanted to substitute something in the kit without having to track down the schematic and do some math. 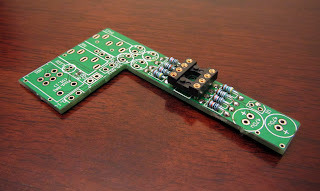 Being the compulsive builder than I am, I always measure resistors before dropping them on a board. In rare instances there are mis-marks, slight drifting of vintage carbon comps, or resistors that fall out of their tolerances. I did notice that the resistors in the kit that were supposed to be 100K (100,000) ohms were actually 100 ohms. Simple mistake I'm sure, but it saved me from having to troubleshoot and potential smoke ;) I opted to order some compact Vishay half watt metal film resistors that were a mere 4mm long. 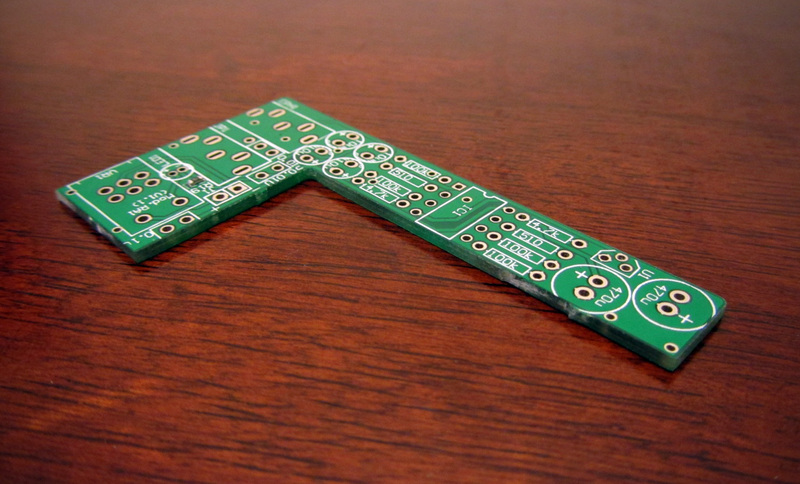 They're slightly fatter than the resistors included in the kit, but still fit just fine. I also opted to drop on a gold plated op-amp socket I had in the parts bin rather than the nickel plate included with the kit. 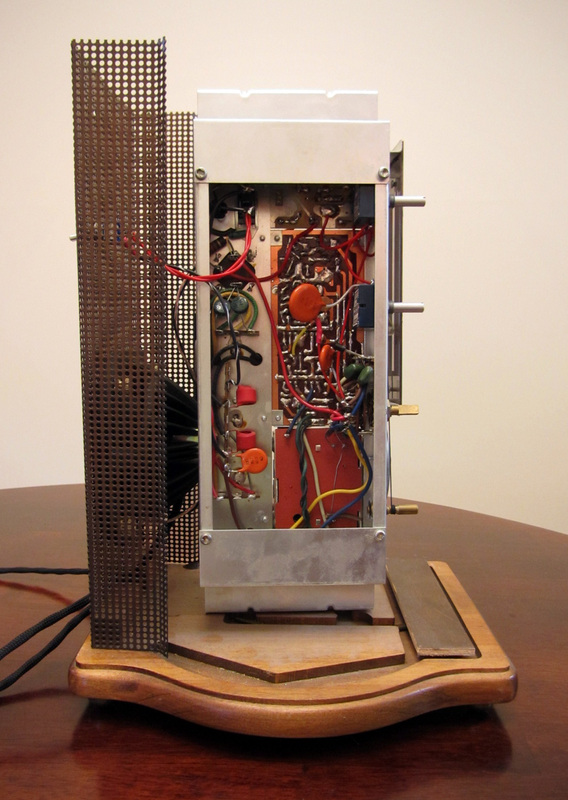 Once these steps were completed, the rest of the components were dropped on piece by piece. This is a very quick build and should be easy to complete in less than an hour. 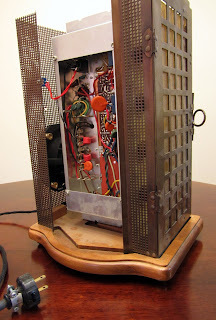 At the recommendation of another HeadFi member, I replaced the stock op-amp with a Burr Brown 2134AP Op Amp. While the amp isn't the last word in control and detail, it has a pleasing amount of bass and was fun to listen to with my modded and recabled Panasonic RP-HTX7-R1 headphones. 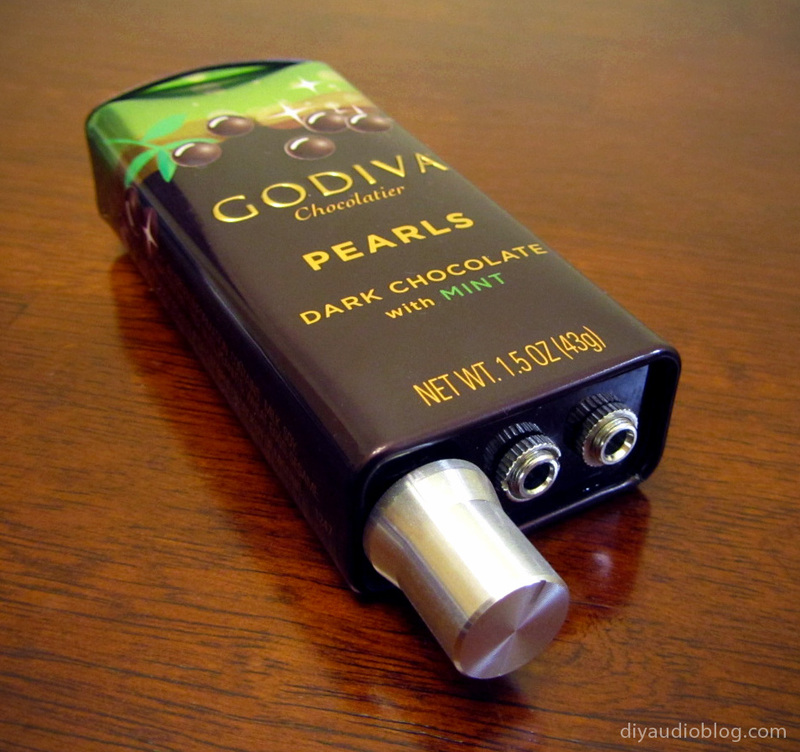 Here is the amplifer dropped into a Godiva Chocolate tin, which seems to be the perfect size! If you like miniature headphone amps in tins, check out my post on the JDSLabs CmoyBB in an Altoids tin. Need a custom cable for your portable amp or device? Contact Zynsonix Audio for some great options. 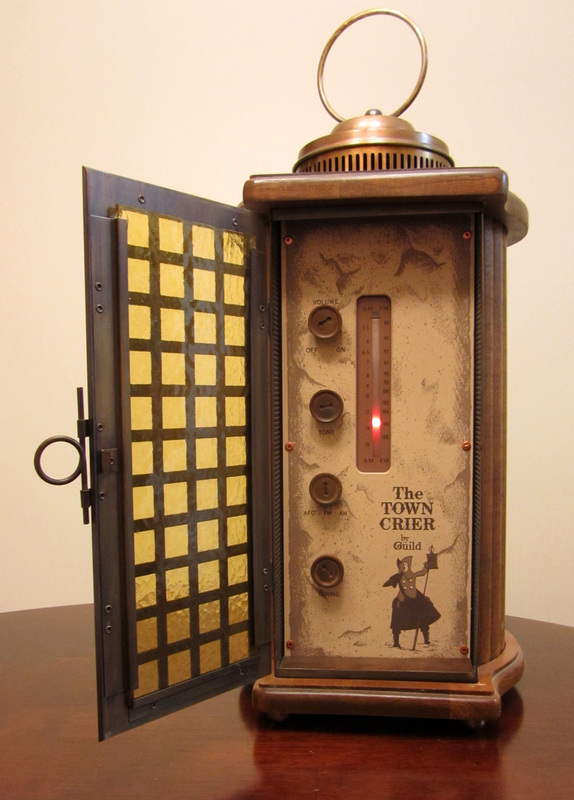 After some searching and scouring, I was able to find a very handsome old radio called the Town Crier. This unit was built by Guild Radio and Television, Inglewood California from the 50s to the 70s in both tube and solid state variants. This particular unit was built in the 70s and it solid state. The radio is fairly heavy and built from wood and metal in the shape of a colonial lantern, it stands roughly 23" tall by 10" wide. 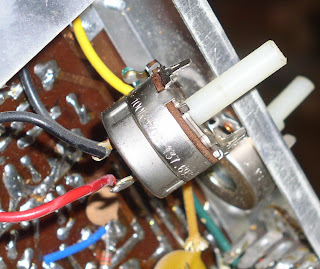 I made sure to procure a functional unit and upon plugging in the unit, the volume adjustment was fairly scratchy sounding and needed some new potentiometers. So I figured I'd tear down the unit and see what could be improved while I was in there. 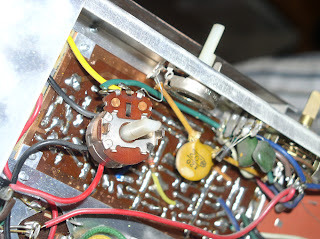 The old pots were CTS VRS-100K-70S that also had a power switch built in that activated when initially turning the knob. 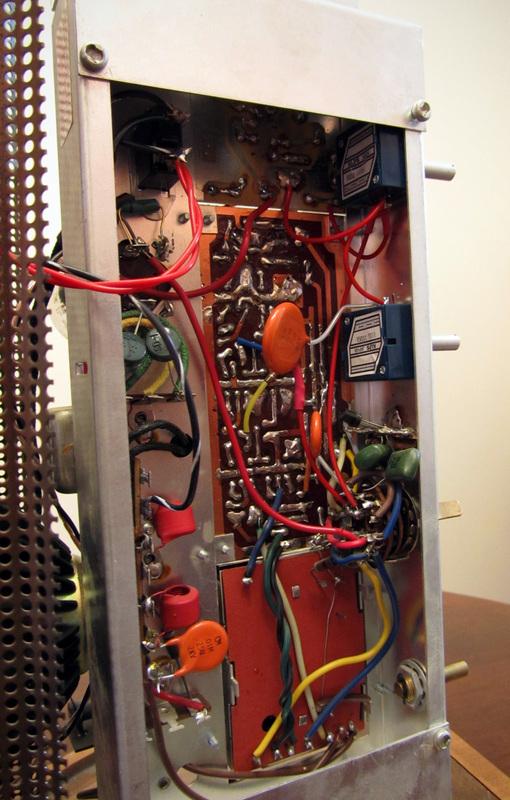 Also on the chopping block were a couple of questionable looking capacitors that had began to bubble. Unfortunately, while CTS is still in business, they no longer build that particular pot. So, I decided to fit brand new Alps mono Blue Velvet pots. 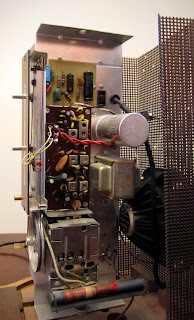 These did not have a built in power switch, so a toggle switch was fitted (at twice the specs of the original) that could be mounted on the back of the unit. I opted to replace all easily reachable capacitors with new ones of the same specs or higher. 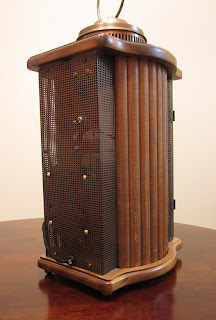 The driver in the unit was a very low-cost oval paper cone speaker that had begun to flake. This prompted me to remove the unit in the interest of replacing it with another. 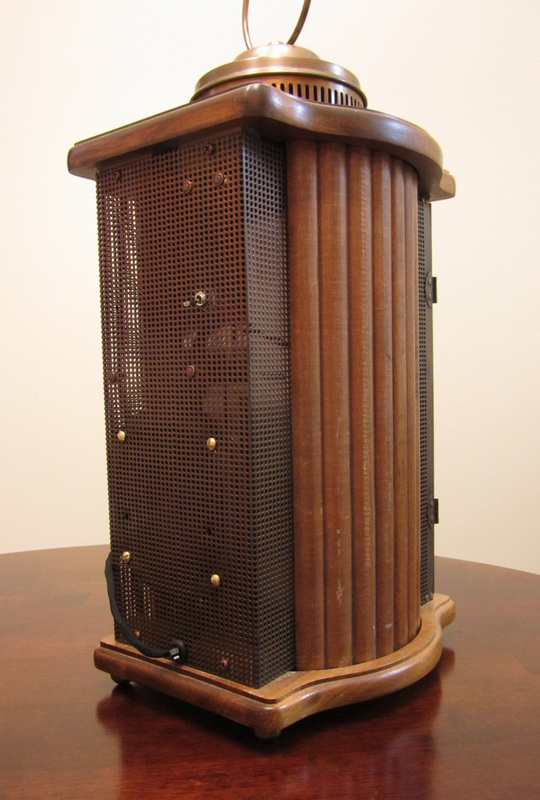 The spec of the original speaker was 12 ohms, so one could fit 2 six ohm speakers in series or a single 12 ohm speaker. 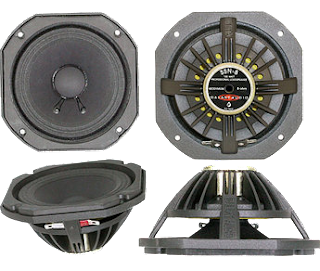 I decided to fit a single 12 ohm circular speaker, and settled on the 5" Audio Galaxy S5N-12 Neodymium full range driver. 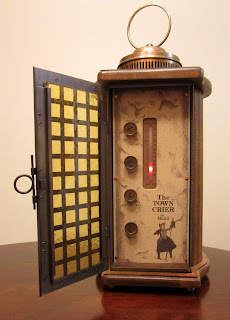 This unit is likely overkill, but it was unlikely that the Town Crier would be opened up again anytime soon, so might as well go with something nice that would last. 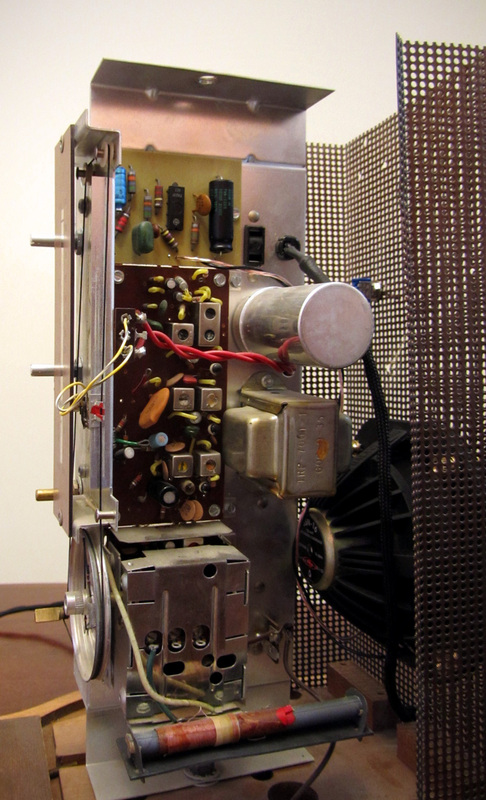 The Audio Galaxy unit barely fit, mostly because of the depth of the magnet. 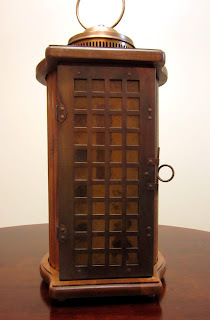 I was hoping to mount a piece of MDF that would act as a baffle for the unit, but there was simply no room to do so. Finally, the power cable was a typical lamp cord that you'd find on just about anything from this period. I opted to use higher quality 16 gauge silver plated copper in teflon wire in a twisted pair configuration which was then covered with black nylon for a vintage look. 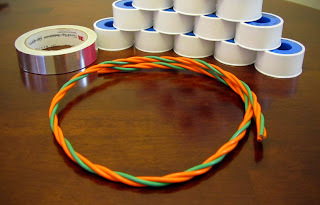 So you may notice from the abundance of power cords on DIYAudioBlog that I enjoy making them ;) I find that they're both cost effective and higher quality compared to many audiophile-marketed power cords. Also, if you're bitten by the DIY bug, you tend to enjoy building everything you can on your own. 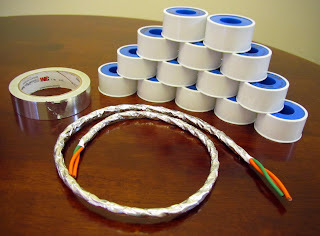 In this post, I'll be assembling a relatively short 3 foot right angle double-shielded IEC power cord. 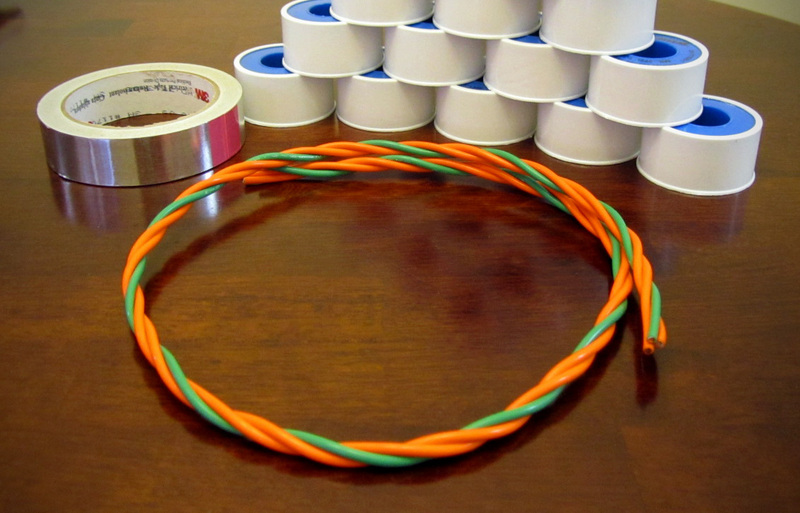 This will be my first double shielded power cord, making use of both a tinned copper mesh braid and a full coverage EMI / RFI blocking 3M aluminum tape shield. 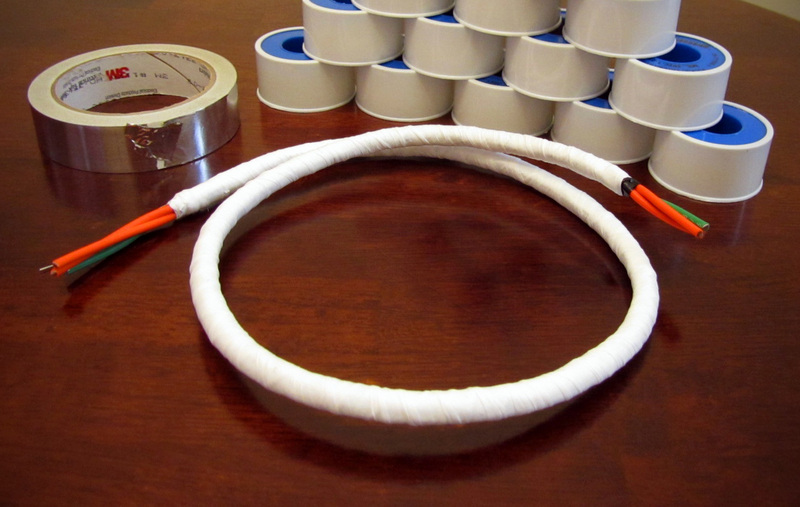 What's unusual is many of the handmade audiophile power cables don't use a shield at all; it's typical to see a cable with three 10 gauge conductors in a spiral within a big thick PVC jacket, but no shielding when it could be easily incorporated. Because these power cords are huge and make use of big conductors, they have a ton of capacitance, which offers EMI / RFI a great opportunity to rear its ugly head. Companies like PS Audio offer shields on their cords; their pricier models offering as many as four shields. It's hard to say if adding shield after shield is beneficial having never tested past 2, perhaps it can be the subject of a future post. This cord will making use of a right-angle hospital-grade Marinco 3 prong plug. 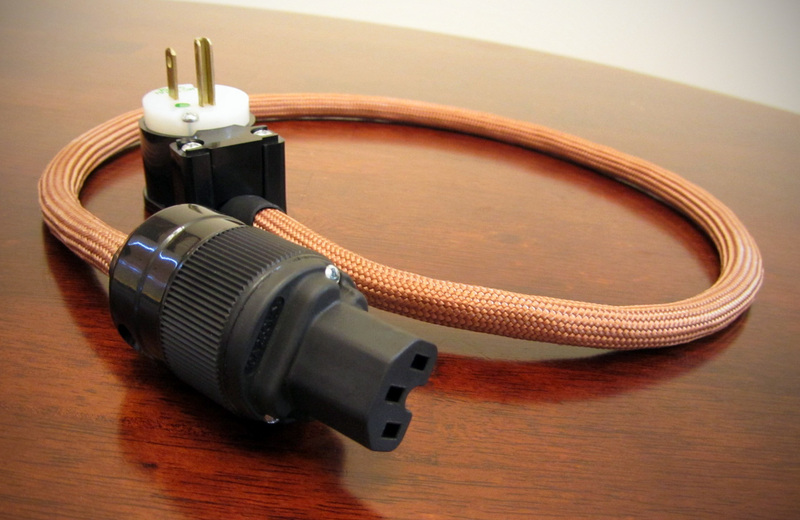 This is achieved by purchasing the typical Marinco 8215 plug (~$9) and the Wattgate WG15RA (~$15) right-angle adapter piece and combining the two. 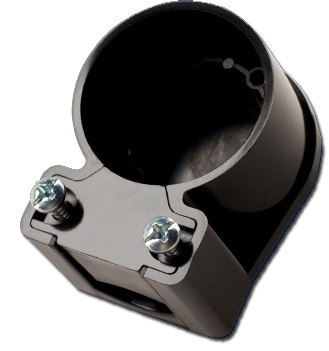 The right-angle adapter can be oriented in eight different positions depending on what angle you'd like the wire leaving the outlet. The cable starts like the other power cables I've built. I trimmed three 10 gauge SPC in Teflon conductors and twisted them together in a spiral by hand. 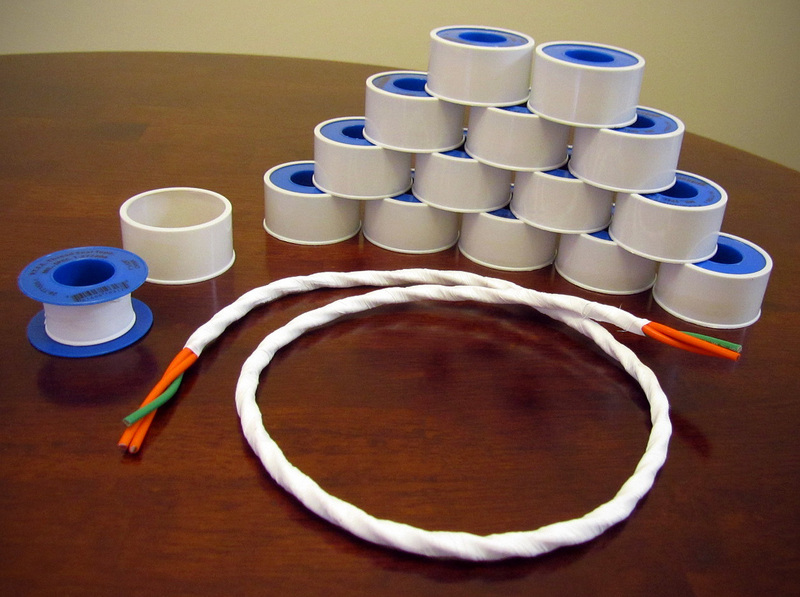 These conductors are then wrapped in PTFE (Teflon) tape. Rather than using the thin 1/2" plumbers tape that I've used in the past, I opted to source some thicker 1" PTFE tape to trim down the time on the wrapping process, as the cable gets wrapped a total of four times, it can take a while. 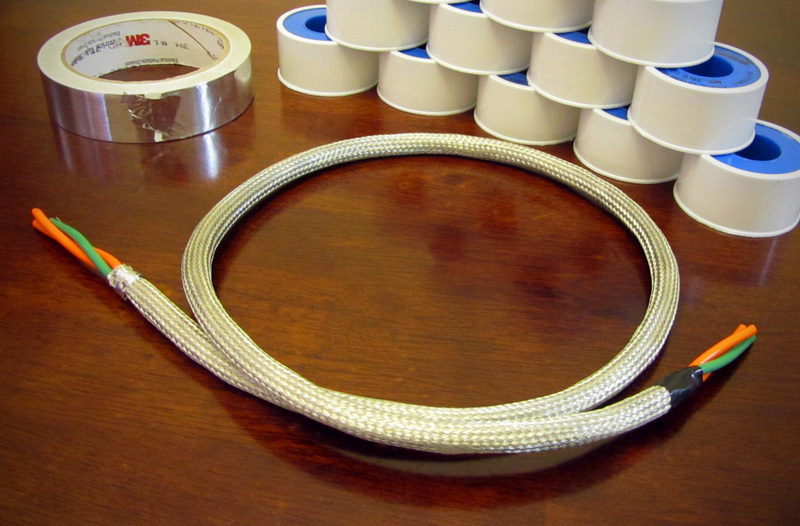 Once the teflon is wrapped around the three conductors, a layer of 3M EMI / RFI blocking 3M aluminum tape is wrapped around the cable. This is a full coverage shield, none of the cable underneath is visible once wrapped, and there is a decent amount of overlap. After the foil shield is laid down, the tinned copper braid mesh is run over top of it, then a buss wire is wrapped around the shield and soldered at the source side. This acts as a drain wire and connects the shield conductivity to the ground at the power source. 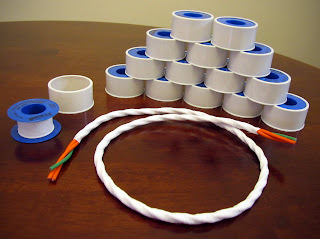 Now, the two final layers of PTFE tape are wrapped around the cable. The above steps detailing the creation of a power cord are for entertainment purposes only, and not to be performed under any circumstances. Please remember that attempting to use homemade power cords can be dangerous to you and/or your surroundings. The owner of this blog and all associated parties can not / will not be held responsible if you attempt the process posted below and cause physical harm to yourself or your surroundings. 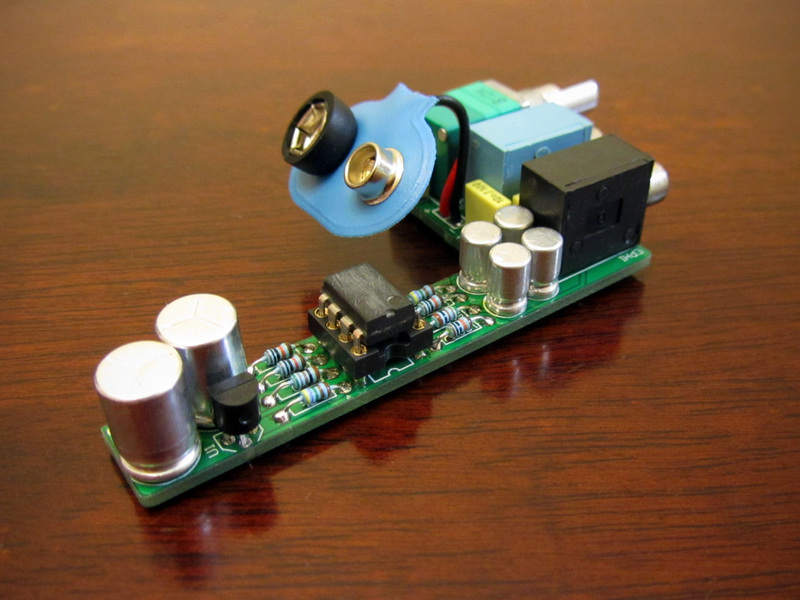 Many electronics contain high voltages that can kill, and DIY power cables can be a fire hazard. Please keep this in mind.